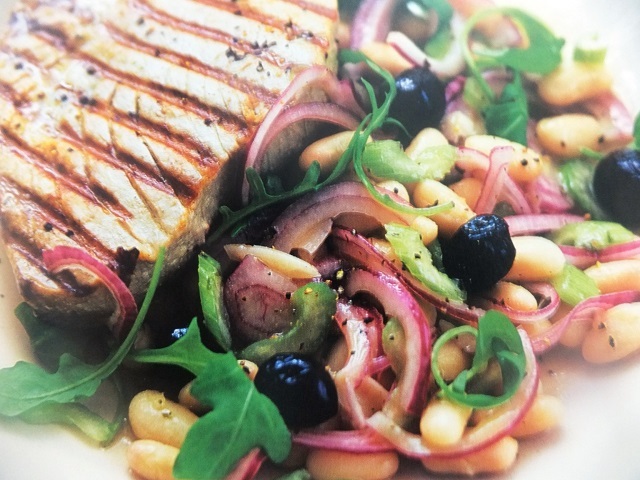 How to make chargrilled pesto tuna with potato salad? 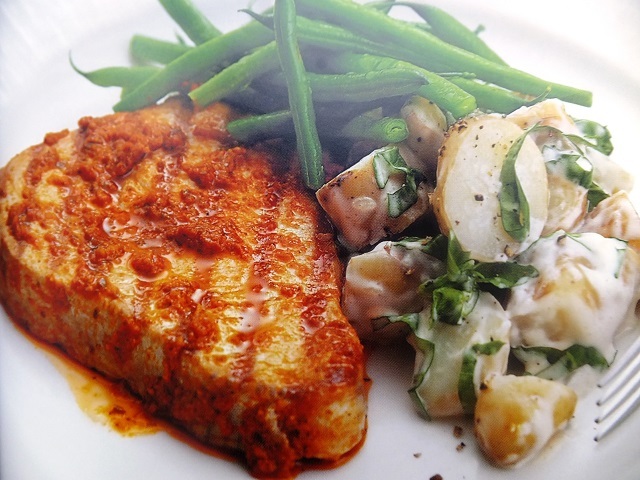 Chargrilled pesto tuna with potato salad recipes and ingredient shared on our page. 1. Put the new potatoes in a pan of salted water and bring to the boil. Cover and simmer for 20 minutes, until tender. Drain and rinse under cold water until they are cold. 2. Roughly chop the potatoes and put into a bowl with the aioli and chopped basil. Season to taste and gently mix together. 3. Meanwhile, mix the sun-dried tomato pesto with the olive oil and brush over the tuna steaks. 4. Heat a griddle pan. When very hot, add the tuna and sear for 2-3 minutes on each side, until cooked but still a little in the middle. 5. Divide between four plates and drizzle with a little extra pesto. 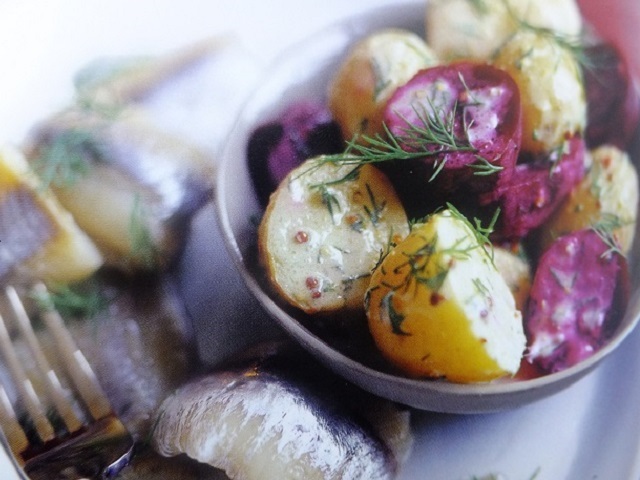 Serve with the potato salad and cooked green beans. Your enjoy meal!